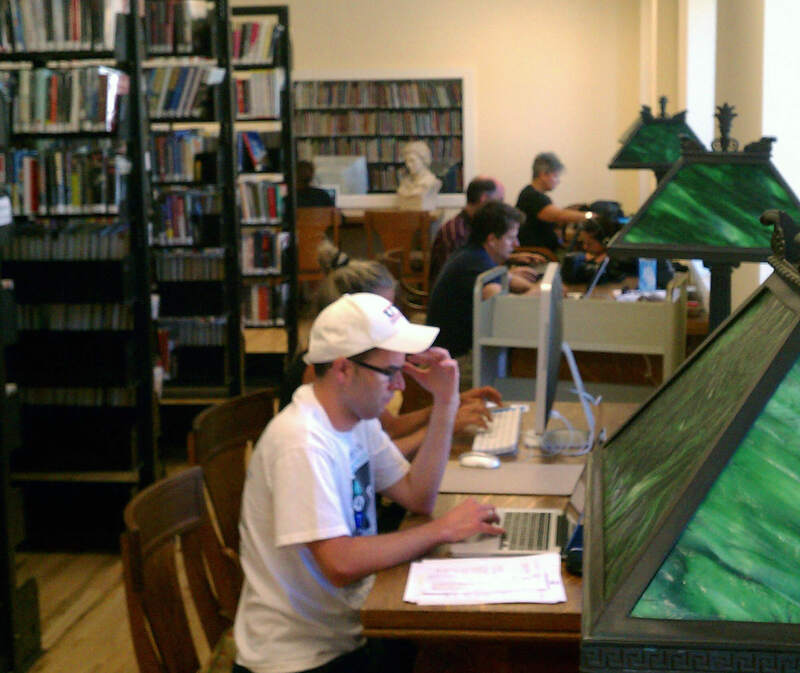 Post-Irene, the Library is seeing a surge in people using our WiFi internet connection. Most come with laptops or smart-phones. One patron brought an entire desktop computer! Hurricane Irene is almost a distant memory, and we’re open again with all services functioning. Since not all homes and businesses in the community have electricity and/or internet service yet, we’re seeing a surge in people wanting to use our WiFi internet connection (see photo). We’re also experiencing a “storm surge” of people stopping by to charge their cellphones. That’s OK with us. Everyone is welcome, and, as always, books, movies and music are available free. Stop by to share your hurricane stories with us, or put them in the comments below.